Happy Friday! Here is my last post for Sister Stamps. I used two images, Kimie (Release #21) and Masa (Release #6). I colored Kimie the same way as my first post, Masa is colored with Copics and paper pieced with Origami paper. I created a little Easter scene using both images. I thought it would be cute to use the Origami paper for the cloud die cuts. My sentiment "Hoppy Easter" was stamped individually with alpha stamps. I also fussy cut and colored eggs from the Masa image as an added embellishment. You can watch my Copic Video of Masa on my YouTube Channel here. I hope that you have enjoyed all my projects using the images from Release #21, available March 1st. 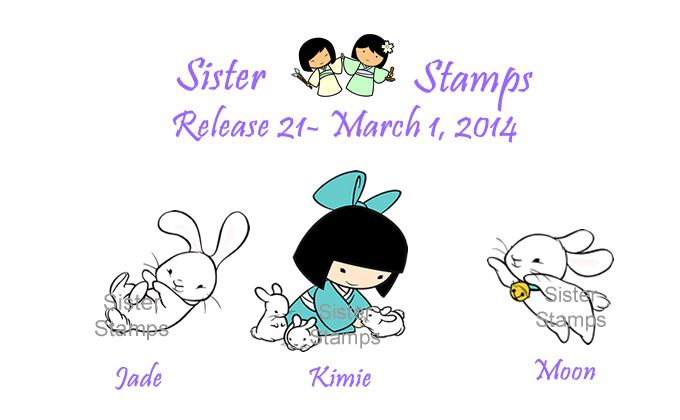 For a list/link of the retailers carrying Sister Stamps, go to their blog. I wanted to say a big THANK YOU to Sister Stamps for allowing me the opportunity to be Guest Designer for this release. I hope that I made some of you new fans of their awesome stamps! Welcome to my second post for Sister Stamps. I decorated these kraft pillow boxes that I got from the dollar bin at Target. The images are Moon & Jade. Both were fussy cut and colored with Copics. I used these chalkboard tags, also from Target. With a chalk marker, I wrote a Happy Easter message. The flowers are from BoBunny, hahaha I didn't plan that. You can watch my Copic Video of Moon on my YouTube Channel here. Also pass by the Sister Stamps Blog for more inspiration. I have one more project to share, so come back tomorrow for the finale! Have a beautiful day! 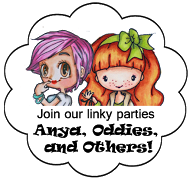 Sister Stamps Guest Designer & SomeBUNNY Loves You! Hello, I have some fun news to share. 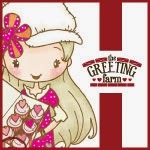 I have been invited to be a Guest Designer for Sister Stamps! They make lovely Asian themed rubber stamps. Today I am using two images from the upcoming Release #21 March 1st. Here are Kimie & Jade, I titled this card "SomeBUNNY Loves You". All the images are colored with my Copics. You can watch my Copic Video of Kimie on my YouTube Channel here. I had so much fun coloring her and the bunnies. I didn't want her to look like she was floating on air, so I created a grass background with my Copics. 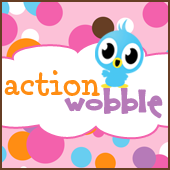 Come back tomorrow, I will have another project to share, great for Easter Treats! 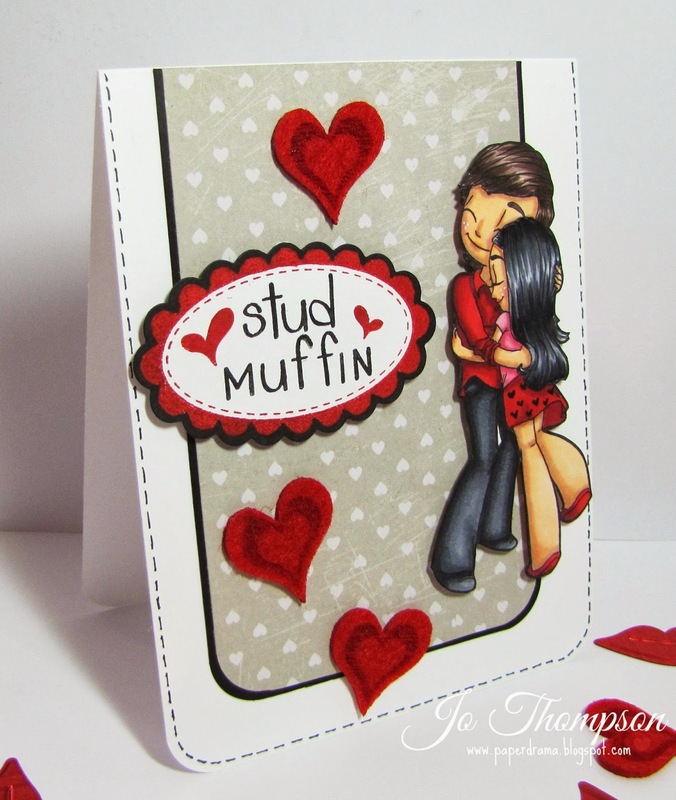 Just sharing my card for my husband, the stud muffin! LOL. I used Squeezey Hugs from Some Odd Girl Stamps. I love using images that resemble me and hubby. Hi everyone! This is my first post for Avocado Arts. I'm excited to share with all of you my cards using the Forever Yours stamp set. For my first card, I wanted to recreate those shirts that have the wording and arrows pointing to the other person with the matching shirt. I individually inked the "Mr". and "Mrs." separately and stamped them on each shirt die cut. The "Mrs." is embossed with white embossing powder to make it stand out more. I stamped "Save the Date" with Versafine Ink, fussy cut the image and popped it up with dimensionals. A simple card that can easily be mass produced for that special occasion. My second card uses two sentiments and an image from the stamp set. This is more of a bright and springy announcement card. 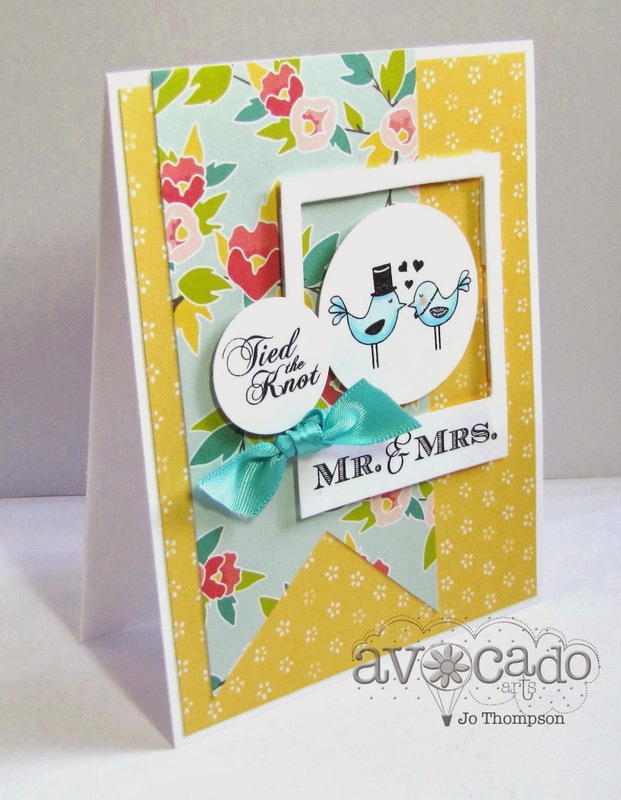 I used two circle punches, one for the "Tied the Knot" sentiment and the larger for the bird couple image. For an added touch, I took a satin ribbon and tied a knot to match the sentiment, corny, but perfect LOL. 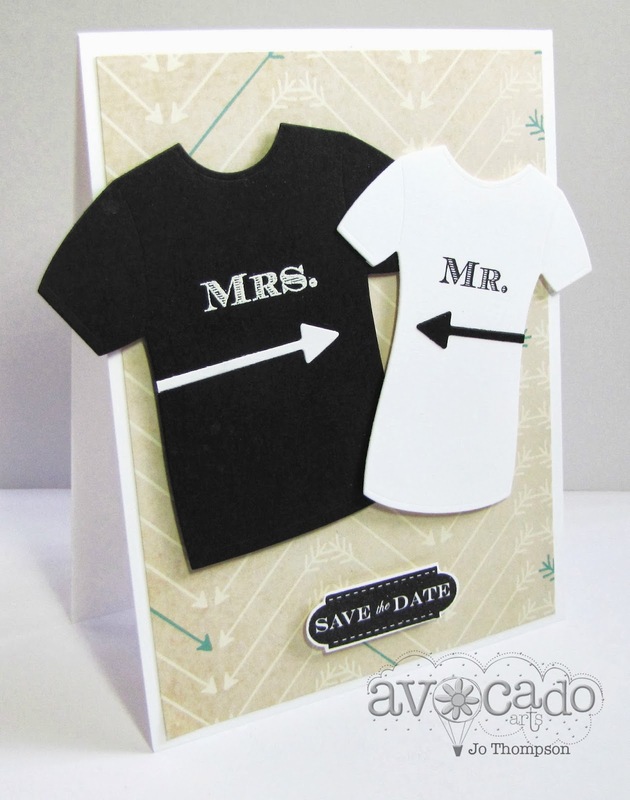 The "Mr. & Mrs." sentiment is stamped on a polaroid die cut. My last card for you today was so much fun. I did a lot of fussy cutting and it required a bit more attention to detail. 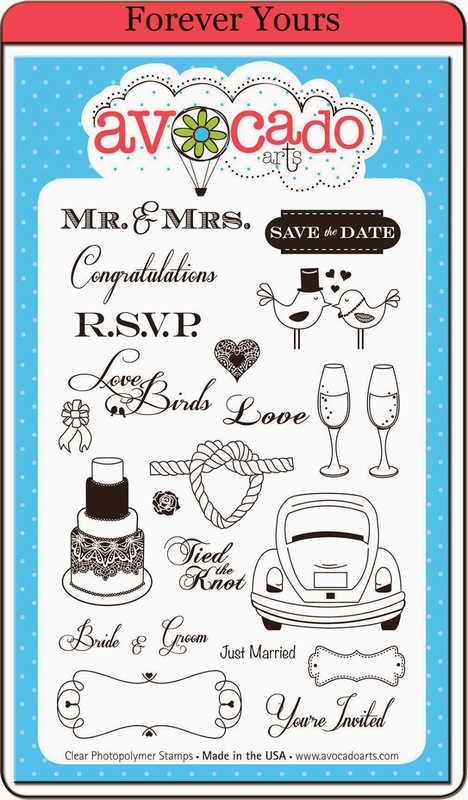 I used the car image, the bird couple, the ribbon bow, and the "Just Married" sentiment. 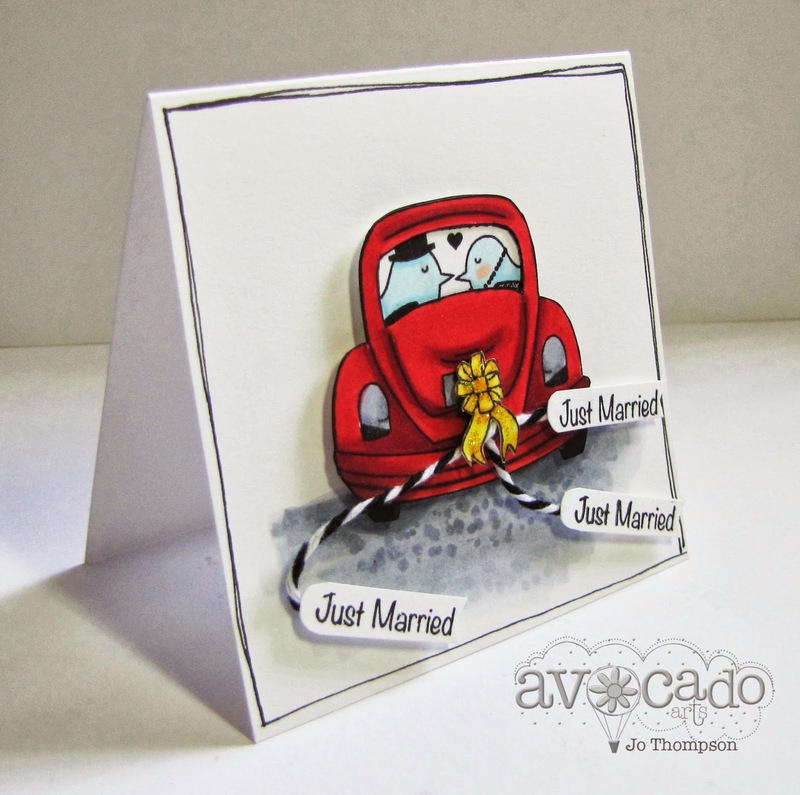 I wanted to create the scene where the lovely couple drives off to wedded bliss in their decorated car. The size of the card is 3x3. The images are colored with my Copics. I colored all the images first then I fussy cut them out. I cut the "back window" of the car out with my exacto blade. I then placed the car over the bird couple and centered them in the window. I glued the images together and trimmed off the excess of the bird image that was sticking out of the car. It is popped up on dimensional pop dots. The "Just Married" sentiment was stamped out several times and I adhered some twine to the back and attached it to the license plate of the car. Placed on top of the twine is the ribbon bow that is covered with Yellow Stickles. I colored some asphalt on the ground and doodled a border around the card to finish it off. So there are my cards, I hope that you enjoyed them as much as I did creating them. You can create soo many combos with all that comes in this set. Thanks for stopping by! For more creations from the Pit Crew, go visit the Avocado Arts Blog. 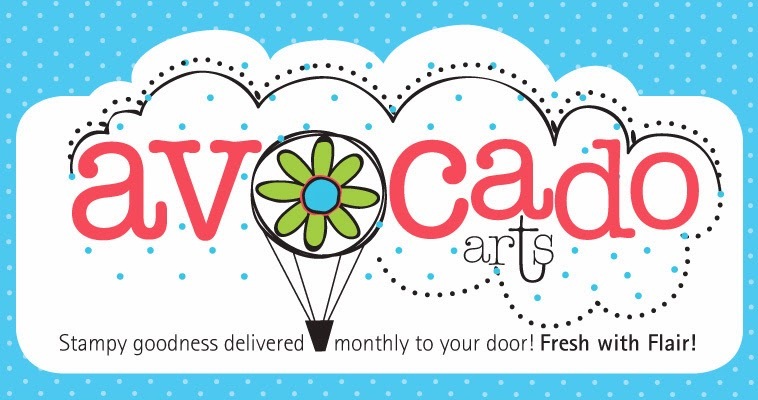 If you haven't heard the news yet, but I've made the Design Team for Avocado Arts. They sell quality Clear Photopolymer Stamps and Coordinating Digital Die Cuts. 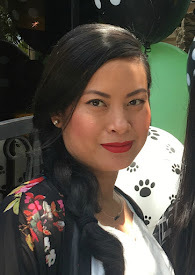 I join a group of talented ladies and feel honored to be in their company. Here are the cards that I submitted for the DT Call using Avocado Arts stamps. I have my first blog post over at the Avocado Arts Blog this Sunday, February 9th. I'm excited and nervous at the same time. As one door closes another one opens...please join me in this new creative journey. Good Morning, Hello Saturday! 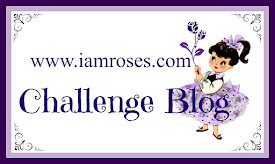 Today I am sharing my February I Am Roses Color Challenge project. The colors are PINK & YELLOW for this month. Here is a before picture of a strawberry container that I decided to keep for a future "gift box". I combined a Rose Flower in the Big Gardenia, a Floral Spray and Puffy Semi Rose Buds to complete this floral arrangement on the lid of the container. The container snaps shut, but I wrapped some seam binding ribbon to an added touch. I stamped a sentiment from Kaiser Craft on a die cut scrap. The edges are inked with Spun Sugar Distress Ink. I have a process video up on my YouTube Channel here. Thanks for stopping by and taking the time to check out my creation. 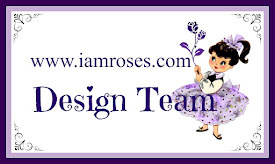 Come join in on the fun and enter to win some I Am Roses flowers.